Alabama State University’s Dr. Michelle Samuel-Foo, an entomologist by training, and an assistant professor of biology in the College of Science, Technology, Engineering and Math, (C-STEM) hopes to change the food narrative on campus. She is developing demonstrative teaching garden and hoop house, which is intended to introduce ASU students to agriculture and entomology. 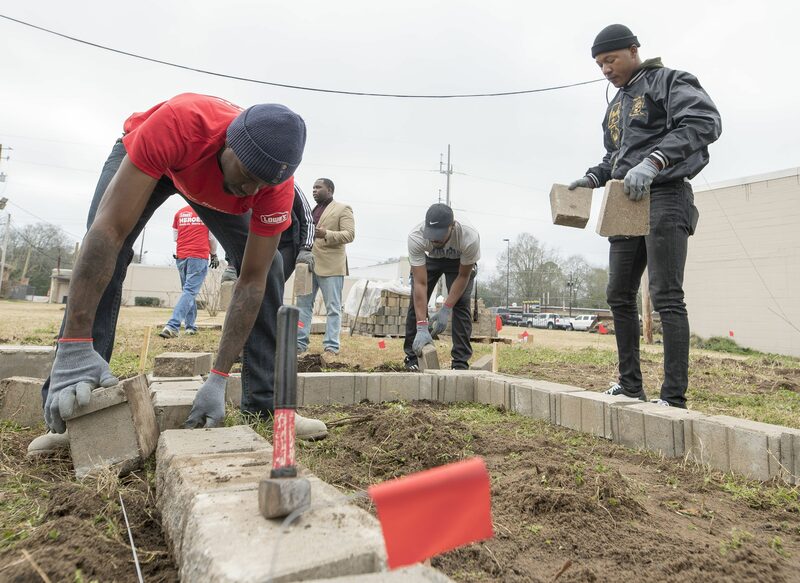 Over the past two days, volunteers from several local community businesses, including Lowe's of Montgomery and Prattville, Righteous Construction and MA Fitness, as well as Alpha Phi Alpha Fraternity, Inc., Beta Upsilon chapter and other ASU student organizations, all came together for the groundbreaking of this project. 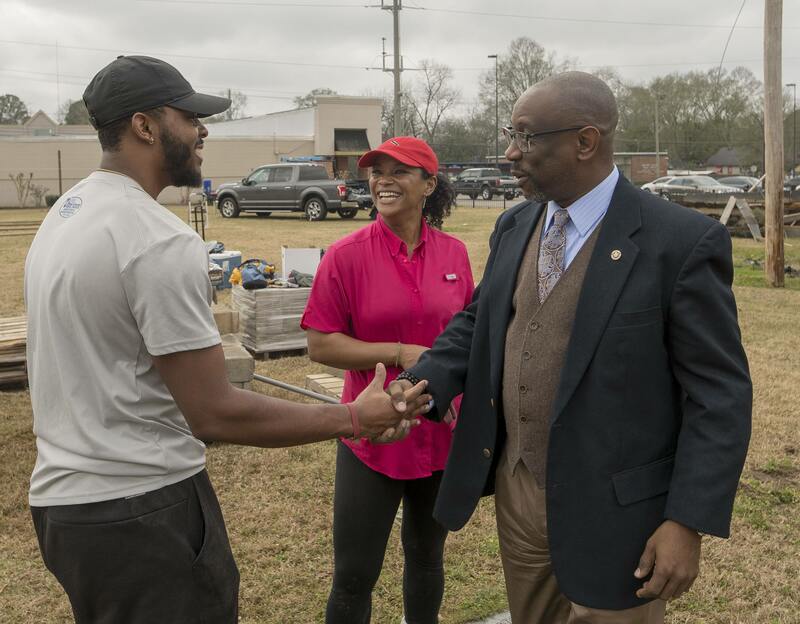 Local representative Kirk Hatcher made a guest appearance to learn more about the project, as well as Brandon Price-Crum, an ASU alumnus who recently returned to Montgomery to join the Vance Law Firm. Crum initiated a similar project on a smaller scale while he was a student at ASU. According to Foo, the garden is going to be more than just a area where vegetables are grown seasonally. For more information and learn more about volunteer opportunities, contact Dr. Michelle Samual-Foo at mfoo@alasu.edu. You also can follow the project development on social media instagram: ASUgardening and on Facebook: ASU Teaching Garden.